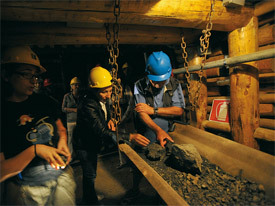 Visit the neglected mines and mining museums of the South West of Sardinia. Holiday in Sardinia? Homes, villas, apartments in the best locations to visit the mines. The beach on which you go today to lie down to sunbathe, had exactly this appearance, 80 years ago. 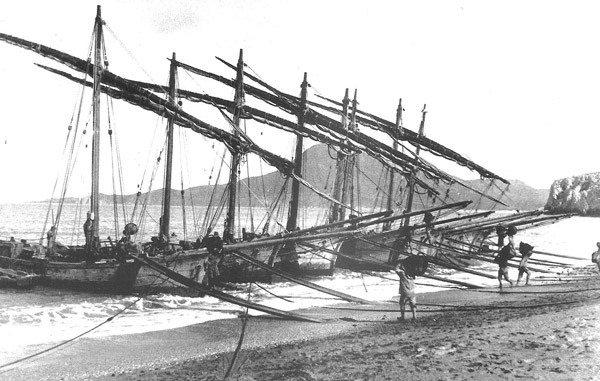 These boats, each with five crew on board, had sailed from Carloforte at 3 am in the dark. They had to arrive very early to catch on the beach, before the other boats, the place closest to the point of embarkation of the materials of the mines of the mainland. More far was the distance between the point of landing on the shore and the mouth of the mine, longer distance every sailor had to walk with a basket of seventy kilos on the shoulders. This they did, the Tabarkini/ Genoese of eighty years ago: every day of every week, for years, they returned in the afternoon to San Pietro Island and unloaded the materials in heaps aligned along the docks of Carloforte. Then came the great ships, which loaded the material and transported it in distant ports, where there were the foundries. Proposal submitted 01/06/2006 for Unesco World Heritage for Sulcis Iglesiente: “The most relevant age of the Sardinian mines starts from the birth of the Sardinian Kingdom by the Sabaudo government, up to the closing of the mines occurred at the beginning of the 90's. Thanks to the interest toward the extractive industry in the Sulcis Iglesiente area, the construction of roads, dams and railways was launched for the development of the region. 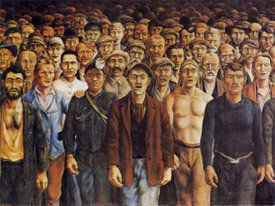 Many villages for miners arose in the area together with sinks, foundries and washeries. 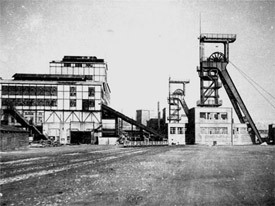 Between the 1936 and the 1938, Carbonia was built in the centre of the Sulcis carboniferous region in order to duly welcome the increasing population working in the mining sector. Do not miss a visit to Masua. Just below the mouth of the mine, which opens on the sheer rock to load the material directly on the ship, there is a lovely little beach, sheltered from the wind. 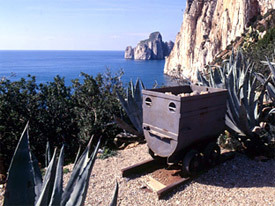 A Masua you can visit the interior of the mine up to the mouth window overlooking vertically the sea, opposite the rock of Pan di Zucchero. The small tower " fake medieval " of Porto Flavia, so named after the daughter of the director of the mines, constitutes the output of the tunnel which was built between 1922 and 1924 to facilitate the transportation of the materials to be loaded directly onto ships via a mobile pier. It is particularly impressive entry of the building in limestone, of course, appreciated from the sea. The Coal Museum conserves and presents the coal mining history along the same itinerary walked by the miners hundred years ago: the room of the lamps, the mine shaft, the roads and the large areas underground. In the lamps room the miners donned their work clothes and picked up their lamps before going down into the mine. Here they returned to wash up after finishing their hard shift underground in the mine. Visitors follow the same itinerary. 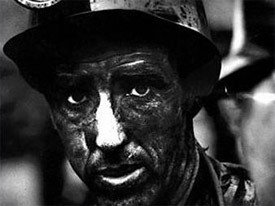 They learn how the miners worked and lived, how coal forms and how it is transformed. 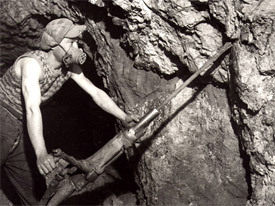 After picking up a lamp and going down the shaft, visitors enter a complex underground environment and come in contact with the evolution of coal mining methods in the mines. 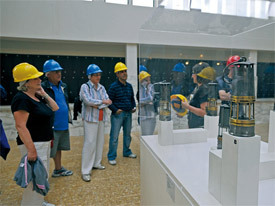 Back in the lamp room at ground level, visitors follow the passage of the material cutted from the mine front through its processing, and becomes an energy-producing fuel. From the earliest forms up to the most highly developed, which is gasification. 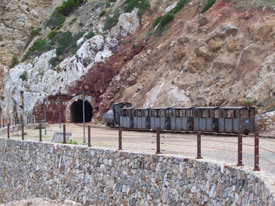 The Museum is housed in the old Serbariu mining complex, in Carbonia, Sulcis Sardinia South West coast. Consider to rent week to week a holiday home, an apartment, a villa, a house in the Sulcis of Sant'Antioco, Carbonia, and Iglesias, in Sardinia South West. You will enjoy a wonderful vacation on beautiful beaches, and at the same time you can visit the archaeological remains of ancient civilizations, and enrich your knowledge of a human story of hard work and courage. And the moving story of an abandoned industrial activity. This web site advertises the holiday homes, apartments, villas, houses in the Sulcis, Sant’Antioco, Carbonia, Iglesias, Sardinia South West. 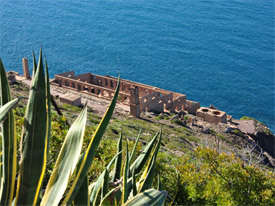 And promotes the tourist visits to the neglected mines of South West of Sardinia.